We think Edwing Tellez may be regretting his decision to have a pop at Alisson this morning! 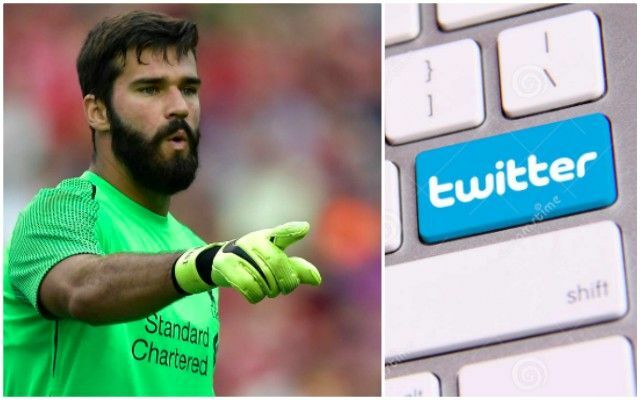 The Liverpool fan sent a message in Portuguese to our glovesman last night, effectively telling him to ‘improve’ or ‘leave Liverpool’ – which is odd considering how exceptional Alisson’s been since arriving in the summer. At 2:15 in the morning though, our stopper hit back at the troll, stating the fan was the only person with this opinion: ‘Did you see the size of the deflection, you idiot?’ he said. “Never walk alone, but it appears your opinion is unique!” he tweeted, before going to bed! Criticising Alisson, especially after a 4-1 win where he had nothing to do and cannot really be blamed for the goal, is a little crazy. The 26-year-old has been a revelation since signing from AS Roma in the summer and helped transform our defence into one of the best in Europe.